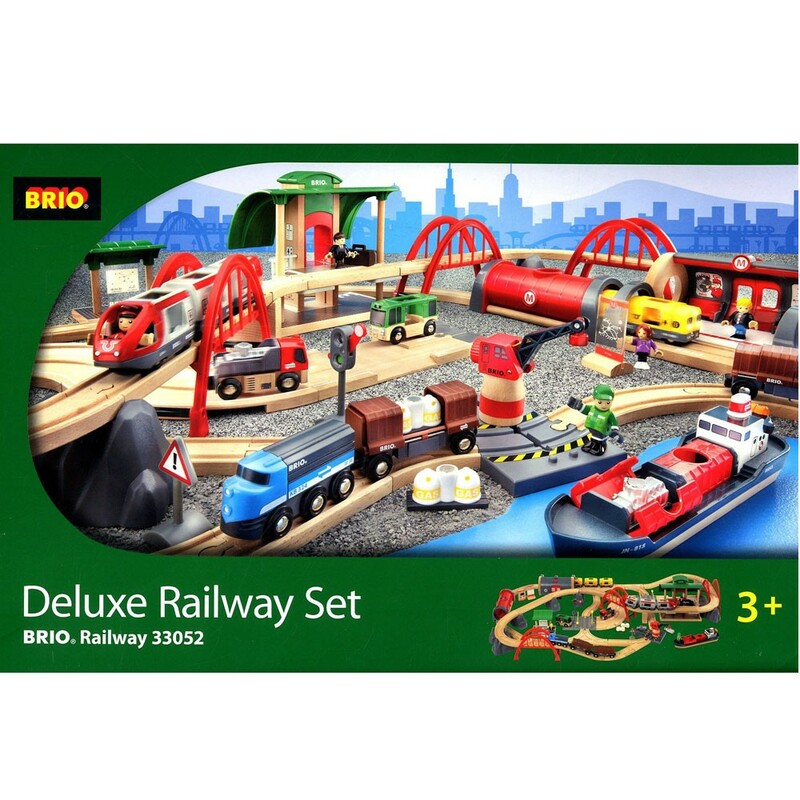 This super awesome 87 pc Deluxe Railway Set is the most complete BRIO Rail & Road world there is! 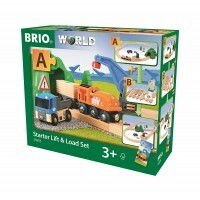 This Brio World dream come true gift! 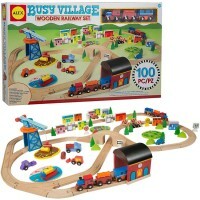 Hours and years of pretend train play are guaranteed for all preschool and older train lovers. 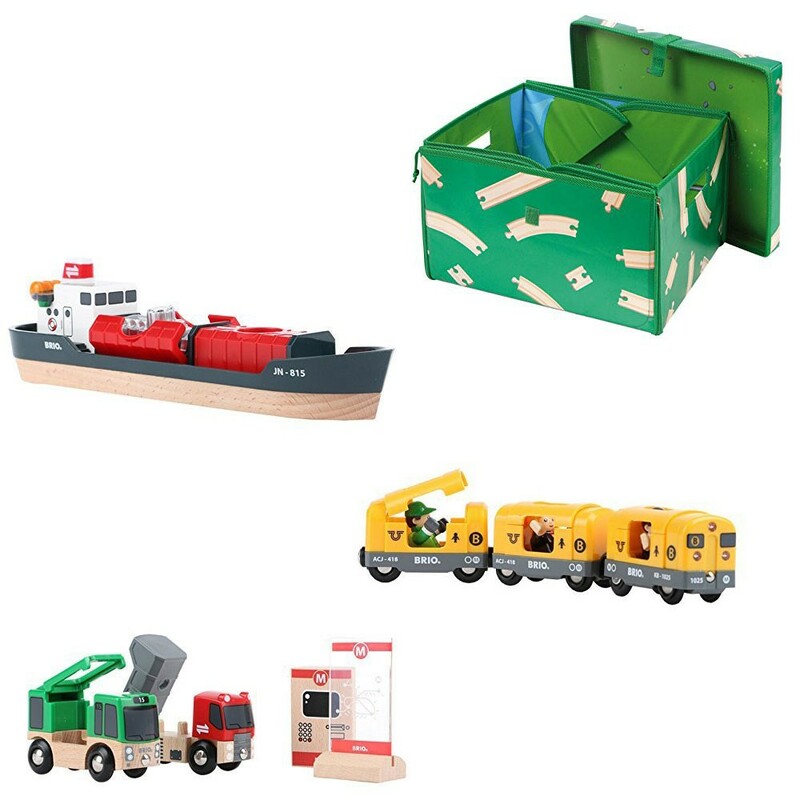 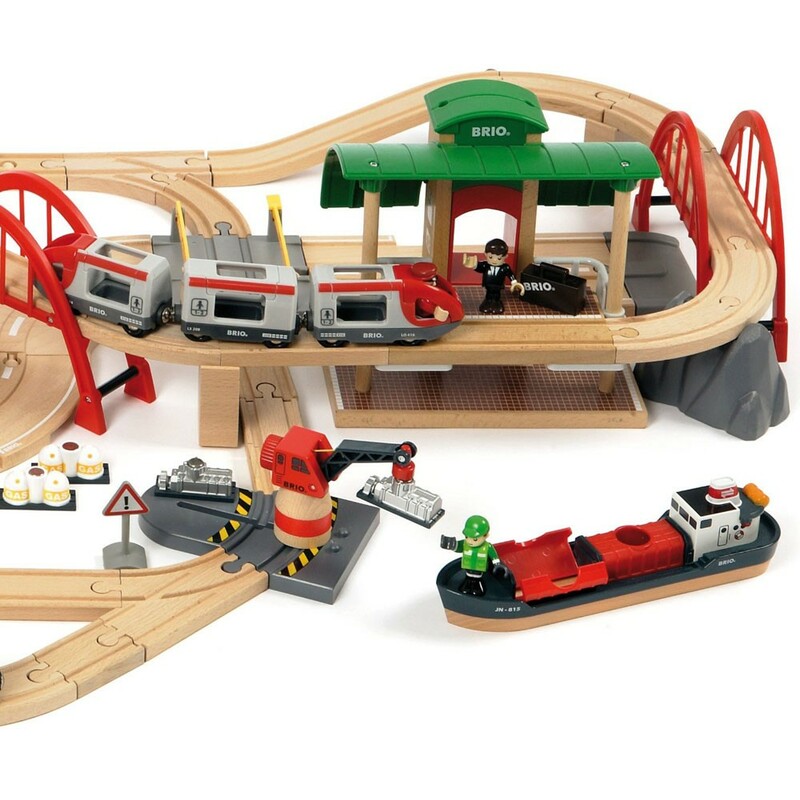 Made to last for years of play, this ultimate Brio set from Educational Toys Planet brings 87 building pieces, magnetic vehicles, play accessories to inspire your child to build and play! 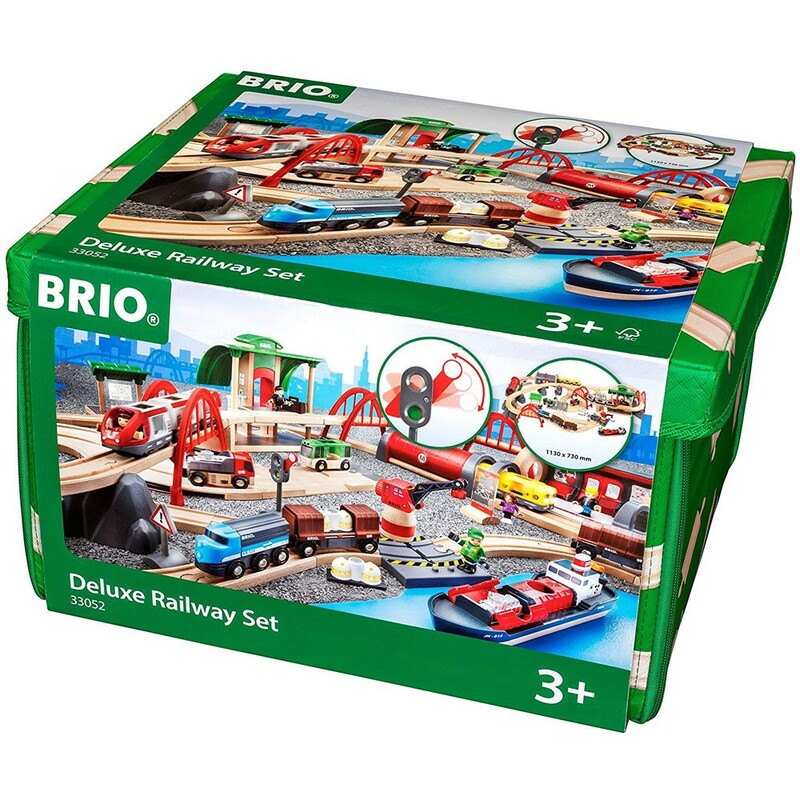 As all Brio world-famous train playsets, Brio Deluxe Railway 87 pc Wooden Train Set offers open ended building, attractive design, bright colors, superb quality and unbeatable play value. 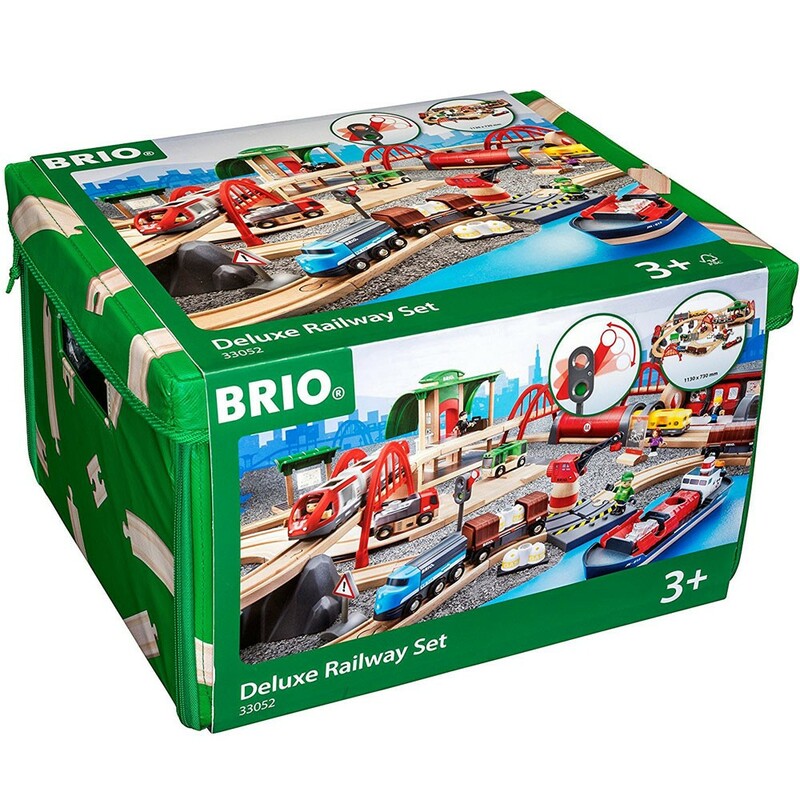 The deluxe railway set is the most complete BRIO Rail & Road World there is! 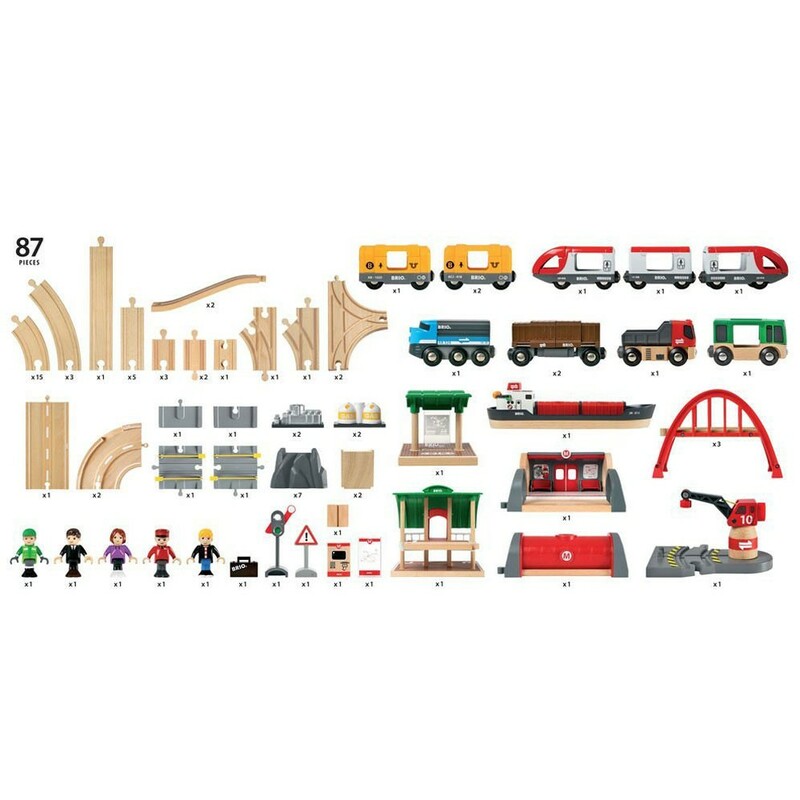 An action packed setting including passenger trains, freight trains, harbour scenes and metro fun, complete with stations, cranes, bridges and figures. 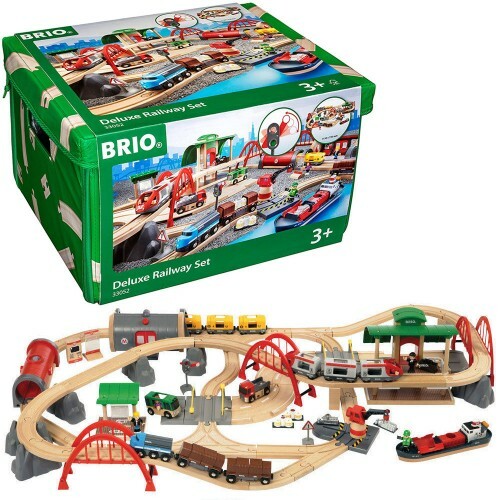 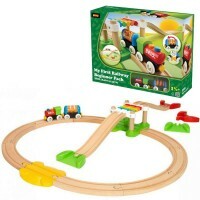 The ultimate gift set for any BRIO train track lover! 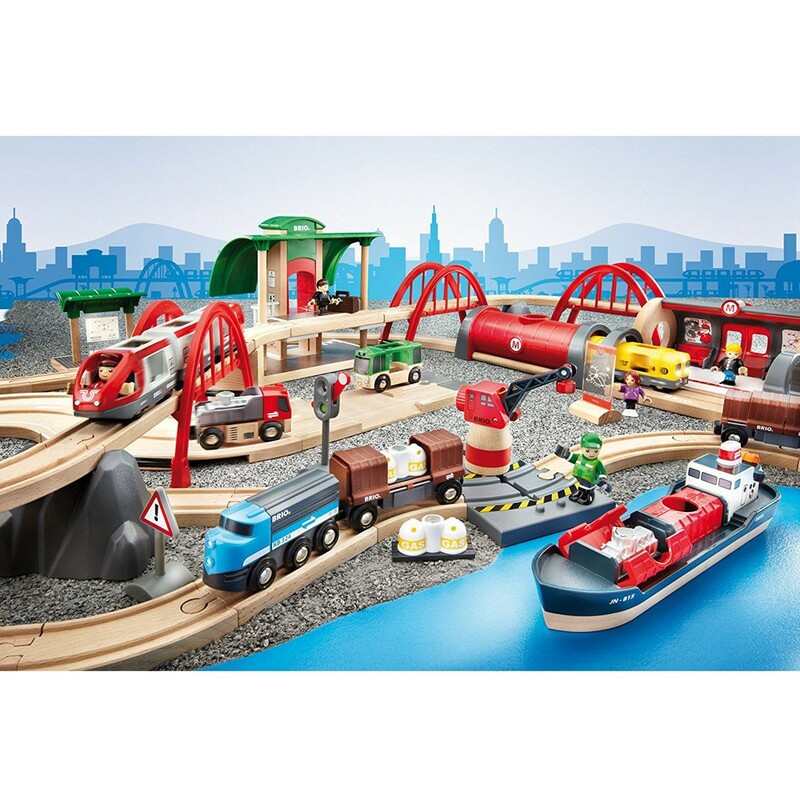 Let the imagination set the destination. 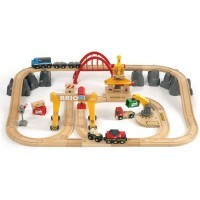 Assembled deluxe Rail & Road set takes about 44.75 x 28.75 inches. 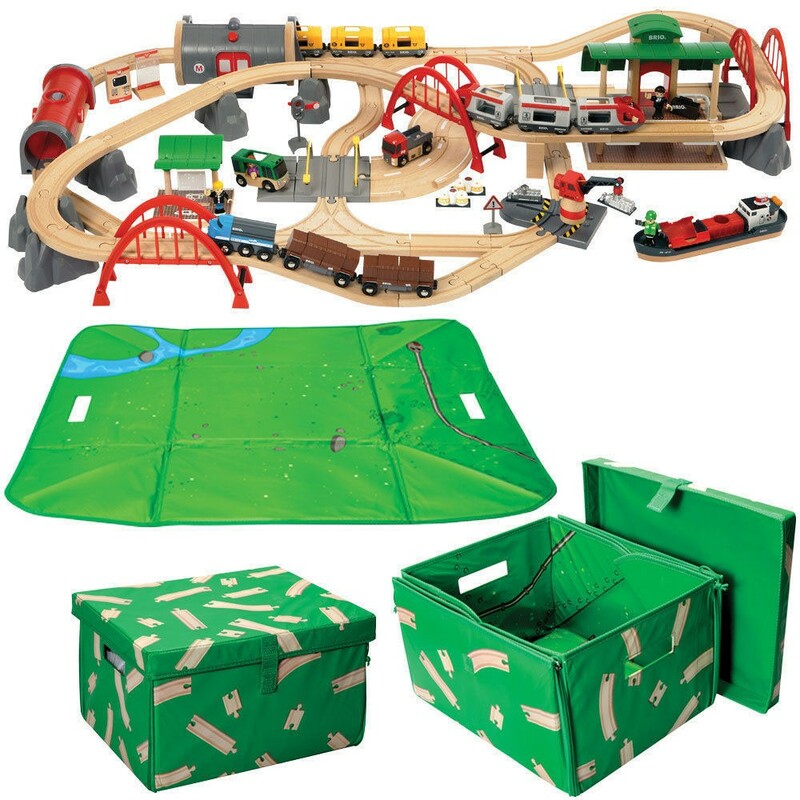 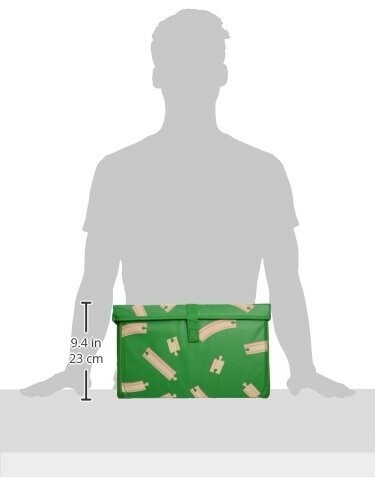 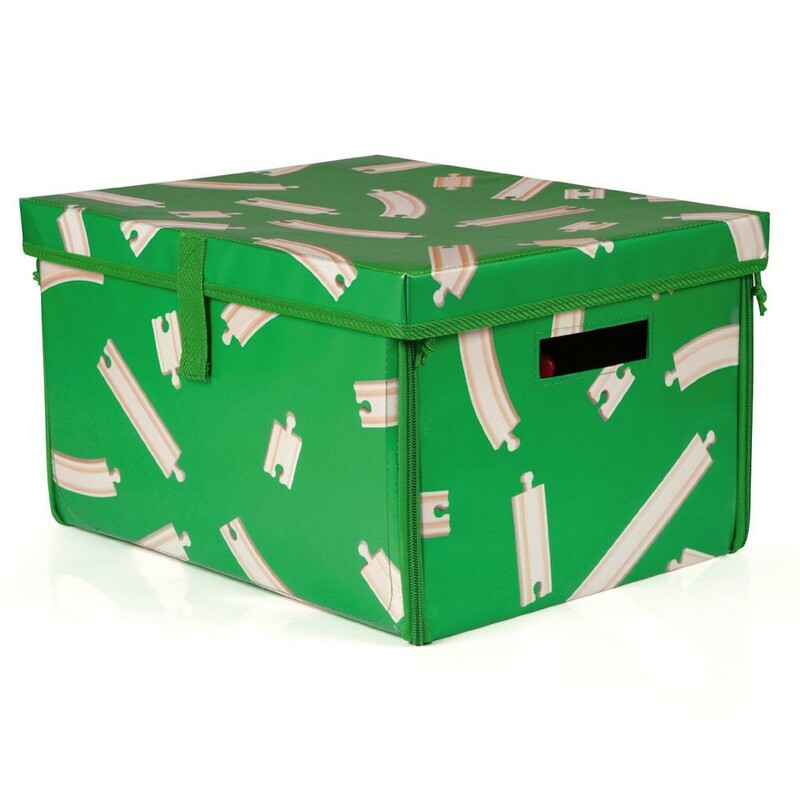 This set requires 2 LR44 batteries (included). 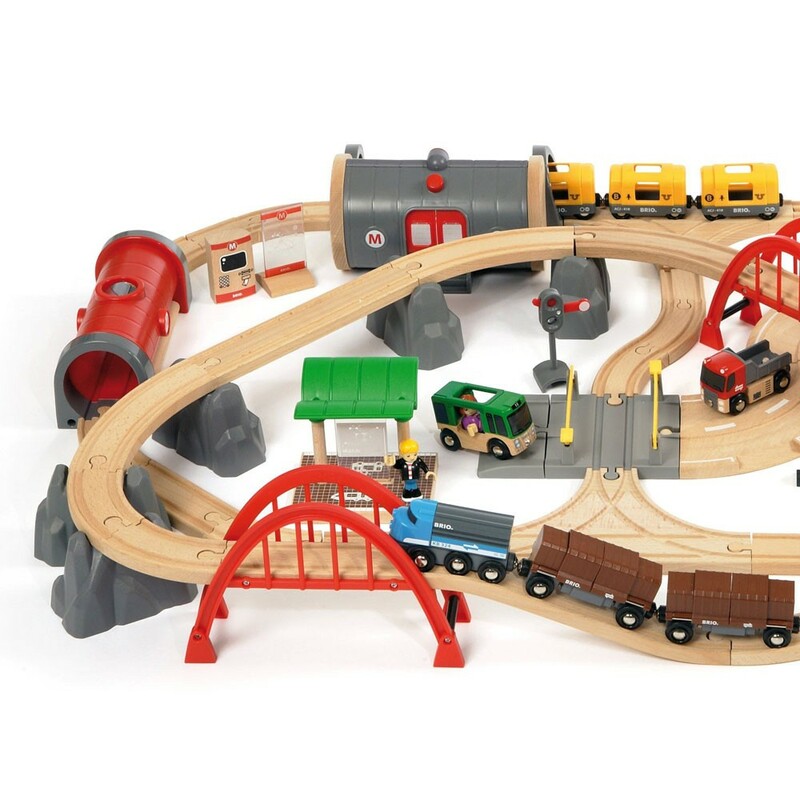 Compatible with all Educational Toys Planet's Brio toy trains and railway pieces, this train playset is a an ultimate play center for all kids who love vehicles and construction. 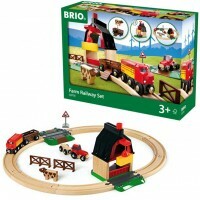 Dimensions of package 29" x 45" x 7"
Write your own review of Brio Deluxe Railway 87 pc Wooden Train Set.